In 2019 the museum will be presenting an exhibition on the legendary artist Balthasar Klossowski de Rola (1908-2001), known as Balthus. The exhibition is jointly organised with the Fondation Beyeler in Riehen / Basel, where it will be seen from September 2018 to January 2019. Considered one of the great masters of 20th-century art, Balthus is undoubtedly one of the most unique painters of his time. His diverse, ambiguous work, which has been equally admired and reviled, pursued a direction that ran completely counter to the rise of the avant-gardes. Balthus himself named some of his influences derived from the tradition of art history, ranging from Piero della Francesca to Caravaggio, Poussin, Géricault and Courbet. A more detailed study of his work also reveals references to more recent movements such as Neue Sachlichkeit and his employment of devices derived from 19th-century children’s book illustrations. 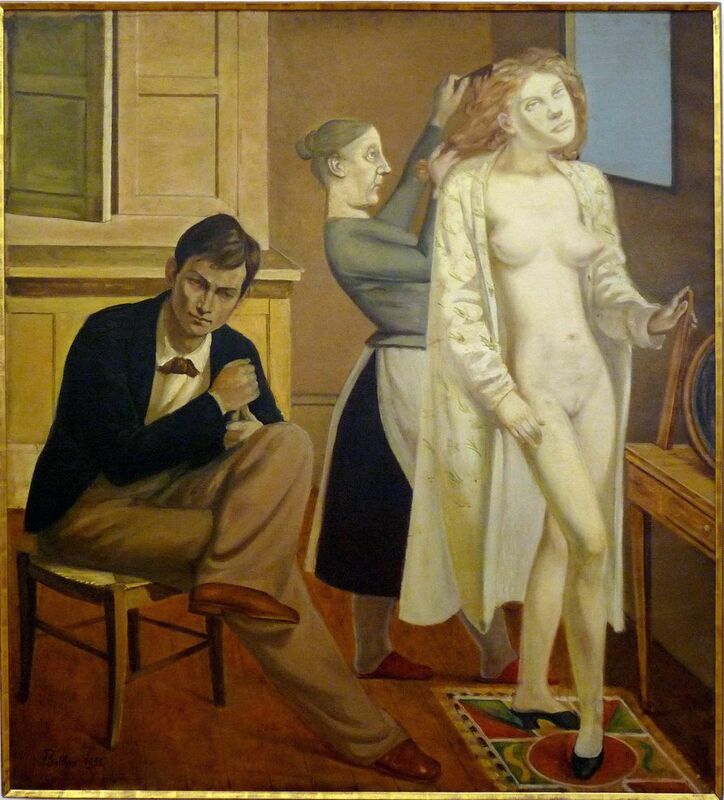 In his divergence from modernity, which could now be described as “post-modern”, Balthus evolved a personal and unique type of avant-garde art and a figurative style that defies classification. His particular pictorial language, with its use of solid forms and strongly defined outlines, combines the procedures of the Old Masters with certain aspects of Surrealism. The resulting images involve numerous contradictions, juxtaposing tranquillity with extreme tension; reverie and mystery with reality; and eroticism with innocence. The starting point for the exhibition at the Fondation Beyeler is Balthusʼs monumental painting Passage du Commerce-Saint-André, from 1952–1954, which has been on permanent loan to the museum for some time. This enigmatic work epitomizes the artist's intensive engagement with the dimensions of space and time in the image, and with their relationship to the figure and the object. With this focus, the exhibition will bring together some fifty important pictures from every phase of Balthus's oeuvre, looking also at the strategies employed in the staging of his often provocative images, and illuminating the elements of irony and mystery in his work. His pictures combine tranquility with extreme tension, and embody a wealth of contradictions, mingling dream and reality, eroticism and innocence, the factual and the unfathomable, the familiar and the uncanny, in a wholly unique way. The exhibition, curated by Raphaël Bouvier with the support of MIchiko Kono and Juan Ángel López-Manzanares, brings together paintings from every period of Balthus’s career from the 1920s onwards. It will cast light on aspects such as the different types of intellectual interaction between the dimensions of space and time that exist in his paintings; the relationship between figure and object; and the essence of his enigmatic oeuvre. 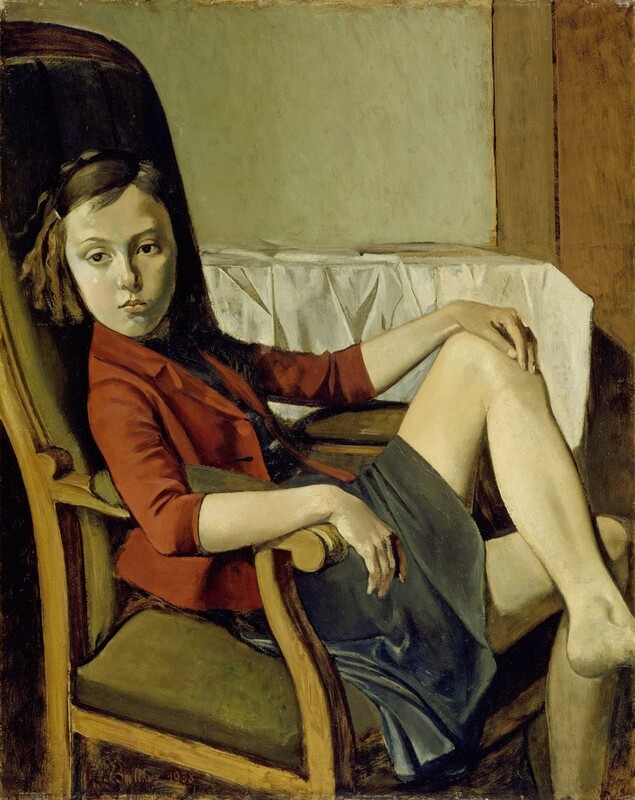 The Museo Nacional Thyssen - Bornemisza presents a retrospective exhibition on the work of the French artist Balthasar Klossowski de Rola (1908 ‒ 2001), known as Balthus It is organised in conjunction with Fondation Beyeler in Riehen/ Basel, where it is on show until January 2019, with the generous support of the painter’s family. Hailed as one of the great masters of twentieth - century art, Balthus is undoubtedly also one of the most unusual painters of his time. His diverse, ambiguous paintings , as admired as much as they are rejected, developed in virtually the opposite direction to the avant - garde movements. The artist himself explicitly stated that some of his influences in art historical tradition were Piero della Francesca, Caravaggio, Poussin, Géricault and Courbet. A closer analysis also reveals references to more modern movements such as New Objectivity and the devices used in the illustration of popular nineteenth - century children’s books such as Alice in Wonderland. 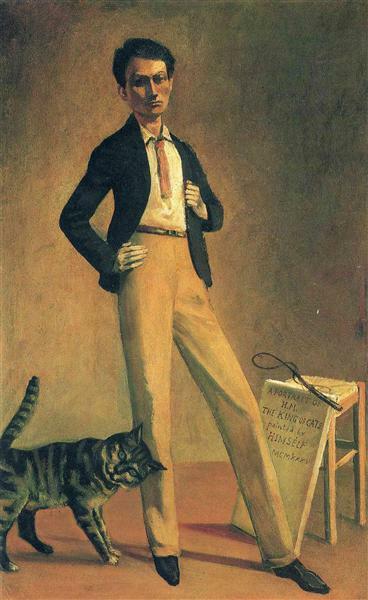 His indifference – which could be described as ‘post - modern’ – of modern trends, Balthus developed a unique, personal figurative style that defies classification. His particular pictorial language characterised by bold forms and very marked contours combines the procedures of the O ld M asters with certain aspects of Surrealism , and his images embody many contradictions, mixing calm with extreme tension, the dream world and mystery with reality, and eroticism with innocence. In his urban scenes and interiors but also in his landscapes and still lifes, the picture space becomes a stage set in whi ch the viewer is invited to take part , while time appears to grind to a stand still. The exhibition, the first retrospective to be held in Spain for more than twenty years, brings together 47 works, mostly paintings in large format, which cover all the stages in his career from the 1920s onwards . 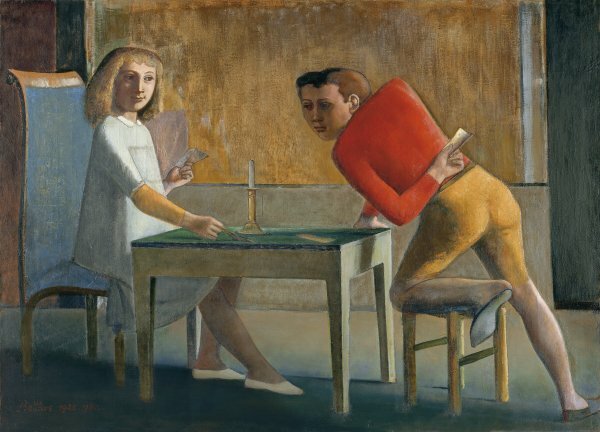 and the Museo Thyssen’s Card Game (1948 ‒ 50 ), the only masterpiece by Balthus in Spain. The last room shows the results of the technical study and recent restoration work carried out on this painting by the museum’s team of restorers. Mention should be made of the MoMA and Metropolitan Museum of New York, the Centre Pompidou in Paris, and the Hirshhorn Museum and Sculpture Garden in Washington, among other institutions and private collections, for the importance and number of works loaned for the show. The son of the art historian and painter Erich Klossowski and Elisabeth Dorothea Spiro, known as Baladine and also an artist, Balthus ( Balthasar) was born in Paris in 1908 and was raised in the intellectual and artistic environment of the city, where his parents had established themselves a few years earlier. Owing to the family’s German origins , they had to seek refuge in Berlin and Switzerland during the First World War . After the war, his parents separated and Baladine became Merline, the muse and lov er of Rainer Maria Rilke. Balthus and his elder brother Pierre went to live in Geneva with her. The poet ended up taking his father’s place and became his main mentor. In 1920 Rilke published a collection of watercolours by the young artist in the book Mitsou: quarante images par Balthusz; and from then onwards Balthus’s family nickname became his artistic name. Balthus returned to Paris in 1924 to devote himself to painting. Although he rejected other painters’ artistic teachings, he was guided by Pierre Bonnard, a family friend, at the outset of his career and he therefore started out in a postimpressionist style. However, what truly interested him was studying the Old Masters such as Poussin, whom he copied in the Louvre. I n 1926 he spent several months in Tuscany, where he steeped himself in the art of Piero della Francesca and Masaccio . The following year he received his first public commission: some frescoes for the church of Baetenberg. himself among the Parisian elite. In 1937 he married Antoinette de Watterville in Berne , with whom he had been in love years earlier and who had previously turned him down. He showed his work in London for the first time in 1936 and in the United States in 1938 . He was called up w hen the war bro ke out , but was discharged the following year due to health issues. By the end of the 1940s he was firmly established as a prestigious artist. After separating from Antoinette, from 1953 to 1961 he lived in the Château de Chassy , in Morvan (Burgundy ) , where he embarked on a period devoted chiefly to female bathers and landscape. In 1961 his friend the French culture minister André Malraux appointed him as director of the la Académie de France in Rome. Engaged for 15 years in renovating the historic Villa Médicis building, which housed the Academy, he spent less time on his work. In Italy, however, Balthus began using a technique that recalls that of Renaissance frescoes. In 1962, during a trip to Japan as director of the academy, he met Setsuko Ideta and went on to marry her a few years later. During a trip to Switzerland, Balthus and Setsuko fell in love with an eighteenth - century building known as the Grand Chalet in Rossinière, which had been a hotel since the days of the Grand Tour, housing well - known travellers and artists. After acquiring and renovating it, the painter went to live there in 1977 with his wife and children until the end of his days. He died on 18 February 2001. Painting against the current ‘I have no wish to figure among samples of the latest novelties. I simply want to fulfill my own destiny as a painter (...) ’ ‘Every great painter teaches us to see. Balthus took us into a realm all his own. He was not a Surrealist, nor a realist, nor did he ever belong to any other ism. His paintings were sheer originals, unique and independent inventions, owing a bit to the past, but only as masterly craftsmanship, a bit to some scandalous subjects, but only as a way to get attention (as he once wrote in a letter), and in the end owing everything to their courageous appearance in our present .’ (Wim Wenders) Balthus’s first solo exhibition in 1934 featured only seven canvases , but they proved to be quite a revelation. His images, painted in the traditional manner but far removed from the figurative trends of the day, were steeped in psychological connotations and myste y .
Balthus set out to provoke. At first sight his paintings look conventional, with an almost academic classicism, but they are not: underlying them is a much more complex psychological vision. The world is presented as a stage where dreams are interwoven with everyday life. They are disturbing, ambiguous images that cause fascination or rep ulsion, but never indifference. His narrative pictures are theatricalised psychological dramas, intimate scenes or domestic tragedies that are played out for the spectator over and over again . The sca nt depth of the picture space, the limited, dramatic palette, the exaggerated ly classical feeling, the suggestive and striking figures, the irveiled or latent eroticism, the implicit violence and the sensation of time stood still all help create this mysterious atmosphere. The time of childhood , the enigma of reality The dream of a mythical and unattainable innocence underlies many of his paintings, as does an ambiguous vision of the transition from childhood to adulthood, especially with respect to sexuality and growing awareness of one’s own body. Balthus considered ‘the pursuit of childhood, its charm and secrets’ to be an essential part of his work and the motif of children playing and popular tales such as Heinrich Hoffmann ’s Shaggy Peter and Lewis Carroll’s Alice in Wonderland as the embodiment of a magical age became a chief source of inspiration and leitmotiv of his painting. The sleepy, self - engrossed, bored - looking figures awaiting idly, reclining in armchairs and on sofas, sometimes holding a mirror or a book, also recall Carroll’s tale where the story begins with Alice’s boredom.